Last Chance to Join us for How To Survive a Plague Screening on November 6. Don’t miss the opportunity to meet Director, David France and participate in a panel discussion with these inspiring leaders. Our panel will be moderated by actor and Ebola activist, Jeffrey Wright. He and David will be joined by experts Dr. Jessica Justman and Greg Gonsalves, who will bring a scientific and activism based perspective on infectious diseases; and GCA's Founder and President Phil Lilienthal, to discuss the important lessons learned in the fight against AIDS and how they set the stage for activism in our communities against future epidemics like Ebola. Due to the inspirational work of the heroic AIDS activists in the film, the public remains committed to educate, care for, and treat people suffering from not only HIV and AIDS but other infectious diseases like Ebola as well. Remember to purchase your tickets online by pressing the button below before tickets sell out. Please contact Kim Posthumus at kim@globalcampsafrica.org if you have any questions. Thanks to all the wonderful supporters of the Empower a Generation campaign this summer, we were able to provide a session of Camp Sizanani for HIV-affected children in the Limpopo region of South Africa in October. This was in addition to our regular session in Magaliesburg that serves children from Soweto. The Limpopo camp was hosted on the beautiful Effata Camp Site, a retreat that provided a great camping experience for the youth, creating a space where they felt safe and calm. Surrounded by a hot and dry environment, the camp keeps the middle of the site green and lush. A gorgeous Jacaranda tree grew in the middle of the site, giving a beautiful background to all the activities that went on there. One of the challenges of having Camp Sizanani in different regions of South Africa is that there are 11 official languages spoken across the country. 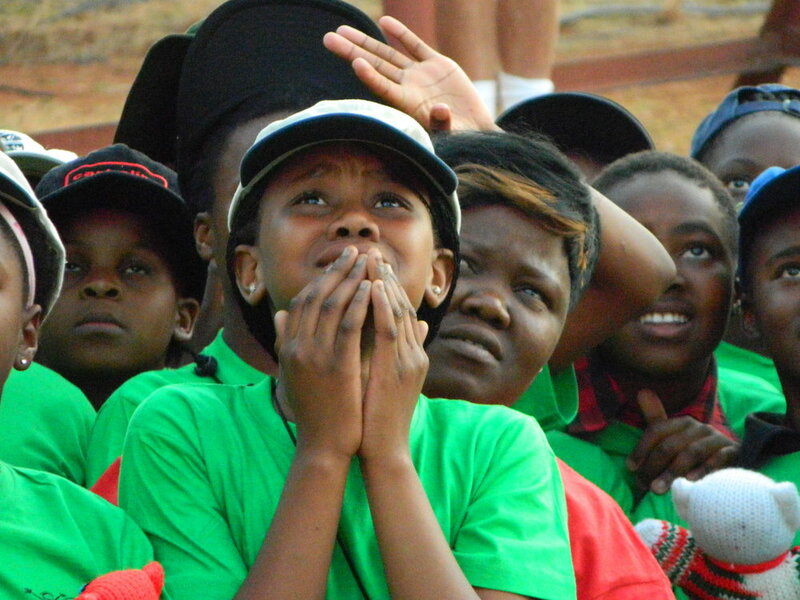 A majority of campers at Limpopo this year spoke Venda, a challenge for some of our veteran vochellis. But they banded together and used the few vochellis that were fluent in Venda to ensure that all the campers in each group and activity felt included and understood at camp. We knew the effort was a success when we heard the different languages being used in the identical camp songs that were used at the Magaliesburg Camp. While they shared the same rhythms and music, different words were sung with equal joy and enthusiasm by the campers in Limpopo. In the amazing environment, campers were able to have a wonderful time. Please view the slideshow below of swimming, volleyball, yoga, theater and more at the Limpopo camp. World AIDS Day is December 1st. In order to raise awareness about HIV and AIDS, we invite you to join us for our annual Global Campfire. This year, you can host your very own campfire in your backyard, kitchen, or anywhere else you can make s’mores! To get started, order your campfire kit here. This campfire-in-a-box includes a smore’s kit, two GCA t-shirts, and important facts about World AIDS Day for you and your guests. By hosting your own campfire anytime between now and December 1st, you will be joining the global community in the fight against HIV and AIDS. Together, we can help reduce stigma and misconceptions that continue to be obstacles to accessing HIV/AIDS prevention and care. This World AIDS Day we can celebrate the progress we’ve made, honor those we’ve lost, and renew the call for effective HIV prevention and treatment programs. Don’t forget to take a picture of you and your guests at your campfire! Share it with us by posting it on Facebook and tagging @global camps africa or e-mailing it to kim@globalcampsafrica.org. We look forward to seeing your campfires! Camp Sizanani in Magaliesburg this September was an amazing experience. 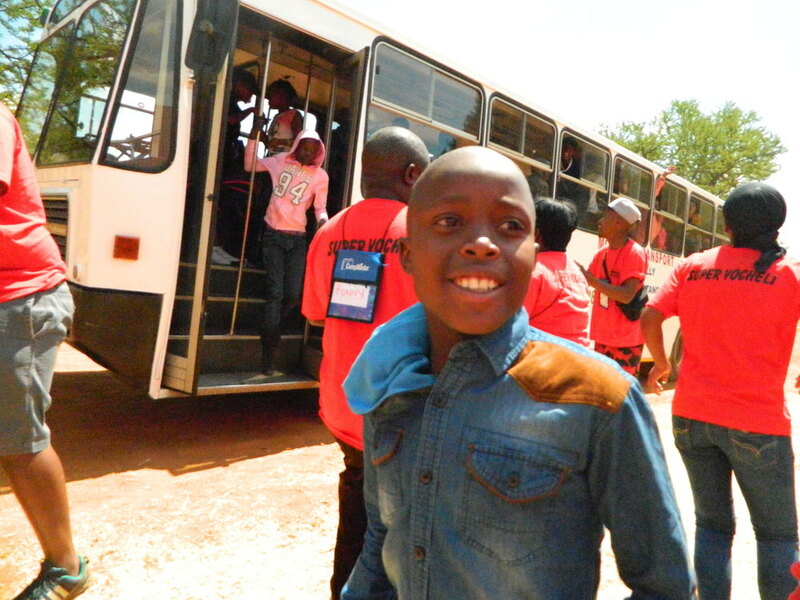 138 wonderful children attended Camp Sizanani in what was a life-changing time for the campers. It turned out to be life-changing for me as well.One of the things that surprised me the most was how eager the campers were about everything. They were enthusiastic about everything they did. When they were singing they sang each song with passion. When they were smiling, they were beaming. During life skills classes or activities when they were challenged to learn, they took their roles as students seriously and weren’t afraid to fail. It seemed almost surreal that the campers would be so enthusiastic about learning about self-esteem, abuse and AIDS or cleaning up the dining hall. When campers first arrived at camp they got off the bus to a group of laughing and cheering vochellis. It was a fantastic experience for the campers as they felt welcomed and loved from the first moment of camp. After the first lunch (a no hands lunch! 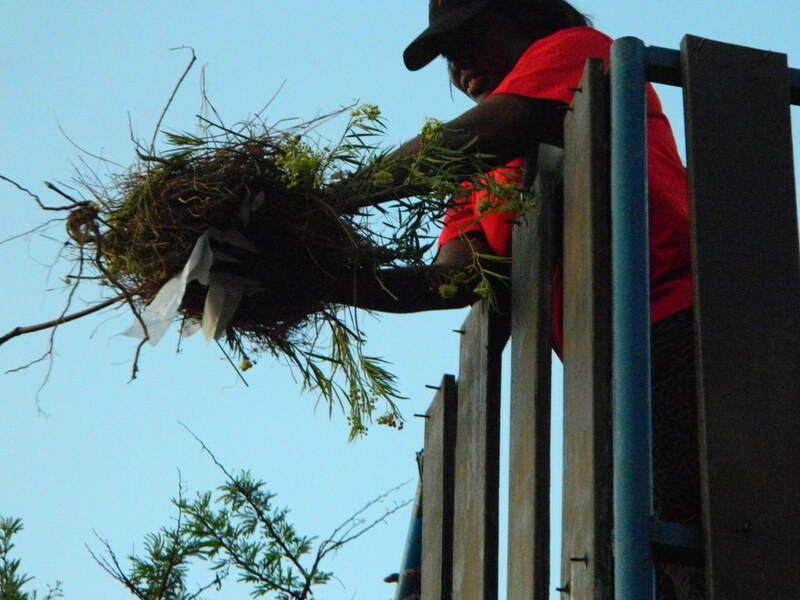 ), they took on their first group challenge, the egg drop challenge. Groups were divided by cabins, so similar age groups and genders were on teams together. The goal of each team was to find natural items to protect their egg from a 15+ foot drop. They could have the aid of tape and toilet paper, but only if they would dance and sing as a group in order to receive it. It was amazing to see the roller coaster of emotions from the children. Not only was it clear that they were bonding with their cabins and each other, the fun activity allowed the group to feel safe and do fun and embarrassing things together, but the whole activity set the tone early on in camp that being perfect wasn’t the expectation. Campers were asked to sing, have fun, try new things and even at times...fail. But to know that they were in a safe place that they could grow and develop, while looking silly and perhaps failing, was a great way to set the tone for camp. Please continue to follow our blog and Facebook page for more day-by-day updates of stories, videos and pictures from Camp Sizanani. Up next will be the Opening Camp Fire and the first day of activities at camp.